From outdoor adventures to technology and sports, Camp COMO offers unlimited summer fun. Dipping your toes in salty, cool waves and warm, squishy sand. Picking a perfectly ripe tomato and making a meal with your fellow campers. Getting your hands dirty with projects and games and laughing with your friends. These are just a few of the memories kids make at Camp COMO. Camp COMO is the place where campers become friends through exploration, play and discovery. There is an entire campus full of fun for your child to experience — tinker in the MakerSpace, play on the courts and fields, cook in the kitchen, harvest the Children’s Garden, splash on the beach, act on stage — the opportunities are endless! Camp sessions run from June 19 through Sept. 1st, covering all of Stonington Public Schools’ summer vacation. Children discover all the treasures the COMO Campus has to offer under the guidance of a trained and caring staff. “We love the staff. They are experienced, friendly, caring and knowledgeable,” noted one returning family. Whether leading games or demonstrating science experiments, staff members work hard to ensure that your child has a safe, fun experience. Add athletic and STEAM (Science, Technology, Engineering, Art and Math) camps to your child’s day, or drop into a Makers’ morning workshop to get a taste of the fantastic curriculum. Athletic camps run the gamut from soccer, football and basketball, to field hockey, lacrosse and flag rugby. STEAM camps make use of COMO’s outdoor classroom and MakerSpace to delve into topics such as video production, pottery, 3D printing and more. Athletic and STEAM camps run for two hours and can be seamlessly added to the Camp COMO day, or taken by themselves as workshops. Makers’ morning workshops are a perfect way to dip into the world of STEAM. On select Mondays, the COMO offers drop-in workshops for kids who want a preview of upcoming STEAM camps. Jump into the world of Dungeons and Dragons, tweak your favorite movie trailer, or develop your own character for a video game. Looking for programs outside the traditional day camp? COMO also is offering three sessions of summer Club COMO. Club COMO is an inclusive peer-to-peer program providing a relaxing, fun environment for 5th and 6th graders. Running June 30, July 28 and Aug. 18 from 6-8 p.m. Club COMO will feature gym games, science experiments and art projects. Younger learners (ages 3-5) are invited to sign up for Preschool Explorers, featuring curriculum tailored to adventure and sensory exploration. Much like other campers, Preschool Explorers socialize, play and learn across the COMO Campus. Youth entering eighth grade and high school in the fall are encouraged to consider applying for the Junior Leadership program, which trains participants to become responsible citizens among their peers and in the larger community. 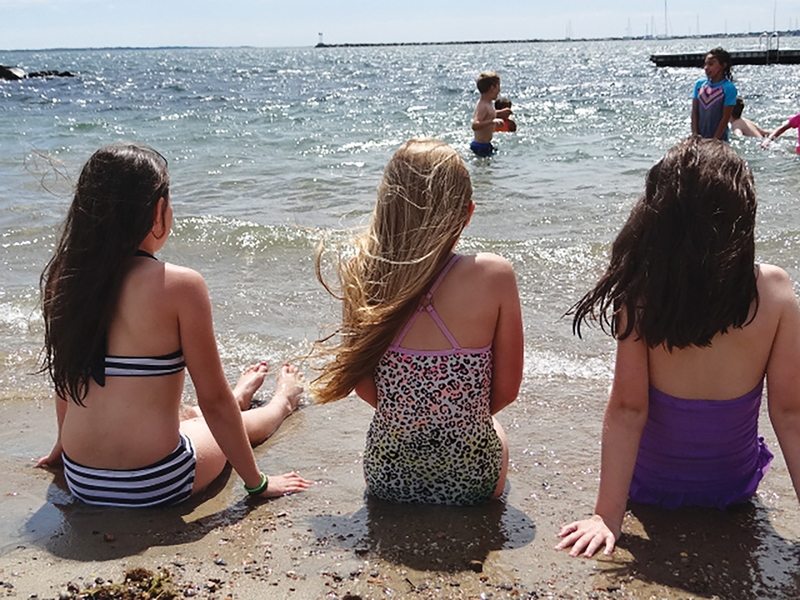 Since 1945, the Stonington Community Center (COMO) has been committed to building a strong and vibrant community in the greater Stonington area. The COMO offers programs for youth and adults across the age span, including athletics, STEAM, childcare and enrichment opportunities. Visit thecomo.org, to learn more about summer camp and all the exciting activities held on campus year-round.